The Ramp Church International is a body of believers who love God, and love the people of God! We are passionate about spreading the Gospel around the globe and serving our community. It’s a place for family, worship, and fellowship. His unprecedented leadership has compelled many Christian leaders and Pastors to seek his oversight. As a result, he was elected into the bishopric, and subsequently founded the One Way Churches International in 2011, where he currently serves as Vice-Presiding Prelate and Co-Adjutor Primate over 15+ churches. Bishop Younger is a proud member of Christians United for Israel where he serves as a local and regional director. He also serves with Global Peace and humanitarian organization with efforts all over the world. 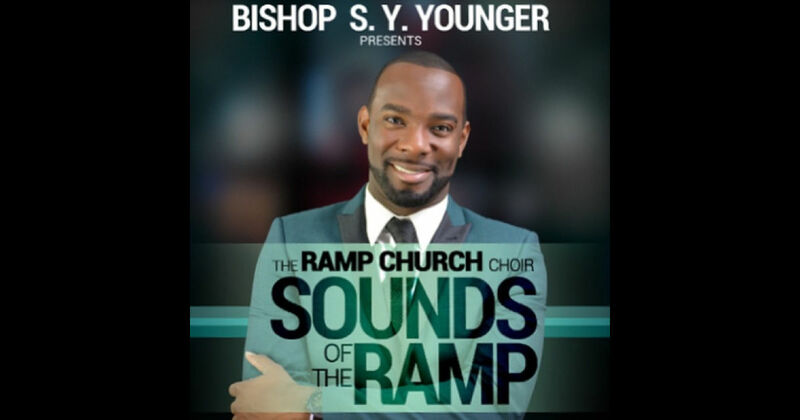 Bishop Younger is widely regarded as the preeminent voice of this generation. His ministry has been solicited across this world both nationally and internationally. He has been embraced and affirmed by the upper echelon of ecclesiastical elite as a pedagogical pundit whose wisdom transcends his age. He is an itinerant preacher, musician, instructor, conference speaker, humanitarian, and highly solicited revivalist throughout the United States, India, Israel, Central America, South America, England, Africa, South Korea, China, and Mongolia. Hugh Ballou: Welcome to The Nonprofit Exchange. It’s Russell and Hugh again. Usually, we have a really special guest, and today is not an exception. This is a brand new friend who I just met two days ago. S.Y. Younger: Only two days ago. Hugh: He is a pastor of a church here that is just making a difference. My wife and I went Sunday, and we felt like we were home. Russell, we talk about leaders creating cultures and the culture is a reflection of the leader. I saw that really powerful manifestation on Sunday. There was gracious hospitality, and there was spirited worship. People were engaged, not only with themselves, but also with us. That comes from a leader being clear on their vision. Our topic today is about forming a vision and having that vision manifest itself in the organization that you lead. We are talking about a church today, but this principle would work in any organization. It’s just more powerful in this setting. Bishop Younger, welcome to the Nonprofit Exchange. Hugh: We’d like guests to talk about themselves for a minute. Describe what brought you to where you are today. A little bit about Bishop Younger. S.Y. : My name is Shante Young. I am from a large city. I always say it was a large city; it was for me. I grew up in a one-stoplight town called Gretna, Virginia. I always give people a construct for how small the town was. We didn’t have a name-brand grocery store. The grocery store carried the name of the family who owned it. There was no Food Lion or Harris Teeter or Walmart. I gained so much from that small town. It gave me a sense of community. I was raised from a spiritual family, a family who made things work. That’s my upbringing. We talk about leadership. I didn’t know it, but I believed maybe the Lord was preparing me for leadership all of my life. My grandmother always said that she saw leadership in me, that the kids were following me. There is always a discussion of whether a leader is born or a leader is made. I think it’s a little bit of both. Hugh: You took that mantel on. Blessings to your grandmother who said you were a leader, and you said okay. You’re a minister. We are in Lynchburg, Virginia, and your church is a mile from where we’re sitting in my house. What was your journey to start- Did you start this church? S.Y. : Yes. Our church will be 13 years old in two weeks. In two weeks, it will be our church’s bar mitzvah. Hugh: And our friend is going to be here. S.Y. : Yes. Dr. Kevin Williams from Greensboro, North Carolina will be here. We met several years ago. I won’t say by chance, but we have been connected ever since. He connected us. Hugh: I am a recovering Scottish Presbyterian. There is this Calvin predestination here. But go ahead. S.Y. : We need to talk about that one day. 13 is our bar mitzvah. I came to Lynchburg not to start a church. I came to Lynchburg because it was my desire to be normal in one time in my life. All of my life, I’ve heard this stuff, “God’s hand is on you. You’re special. There is a special calling on your life.” I believe it’s on everyone. I got to a point where I didn’t want to be special because I believe the word “chosen” doesn’t deal with being special. I think being chosen has more to do with our responsibility. I felt the weight of that responsibility. I came to Lynchburg to run away from leadership in ministry. I went to school to become a schoolteacher. I came to Liberty. My major is English, and my minor is history. I wanted to be a schoolteacher. The Lord interrupted that. I said on Sunday, “The angel of the Lord comes and tells Mary, ‘Hey, favor is on you.’” Most of the time, the favor of God displaces your plans. Hugh: But you were paying attention. S.Y. : I was paying attention. Fear not. He starts out with Fear not. Any time the Lord starts out with fear not, there is probably something He is about to say that will scare the living daylights out of you. We started the church in a living room in my duplex apartment. 13 years later, we are an umbrella church for about 17 churches in the state, a church in India, and a church in Brazil. God is doing great things. From that small town, the Lord has taken me all around the world, preaching the gospel from Mongolia to South Africa to Nairobi, Kenya, all over the world, Canada, sharing the gospel. S.Y. : And doing leadership training. Hugh: You were in Brazil two weeks ago. S.Y. : Yes, I just got back Saturday. Hugh: What were you teaching? S.Y. : I was teaching the back of chapter two. I was talking about vision and leadership. Hugh: That is what we’re going to talk about today. I meet a lot of leaders doing a lot of different things. As you may know, I served inside the church for 40 years. S.Y. : You just told me that today. 40 years. Oh my goodness. Hugh: I was very young when I started. S.Y. : That can be controversial, especially depending on how the church structures this. I have always said the eyes are in the head. S.Y. : You must have a head. Anything with more than one head is a monster. If there is more than one vision, it becomes a division. It becomes division. The aimless three and three asked a question, and I think we can answer the prophet’s question. How can two walk together except if they’re agreeing? That’s in a marriage, a business, a ministry. Someone must be the visionary or the one who casts the vision. Something happened. This was tested in me earlier. I was a youth pastor. I was a worship leader under my pastor Bishop Hall, who was a great man of God. He had a vision of moving into a larger facility. One Sunday after church, he says, “I want all the leaders to follow me. I want to show you something.” He took us to this big warehouse on the side of the highway. It was painted red. We walked in and came to find it had been a farming equipment auction building, where they brought farm equipment in and auctioned it off. It was a huge building with a cement slab floor, and it was painted red. We walked in, and he said, “This is our new church.” I remember saying, “Moses has brought us out here to die.” I didn’t see it. He was like, “The pulpit will be here.” He wasn’t having a meeting about deciding if this was our church. He said, “This is our church.” I didn’t see it. But that is when the Lord spoke to my heart, and I spoke it out loud. The eyes are in the head. I may be the legs of the ministry. Somebody else may be the arms. Our whole thing is to let the head communicate to us what he sees, and we are to get behind it and make it come to pass. Hugh: Russell takes in a lot of stuff, and he asks you the real hard questions. S.Y. : Uh oh. Be nice to me, Russell. I’m new. Hugh: He is a deep thinker. Russell, I guess you’ve had the same experience. It’s either one side or the other. They either have no vision, or they get it all chopped up. We know a couple of those. Your bishop knew what he was doing. He claimed it, he communicated it with enthusiasm. I could tell how you described it. S.Y. : He didn’t say it with a question mark. I think some leaders make that mistake. They come with a statement that ends out grammatically with a question mark. It’s hard for people to follow someone who’s not sure of where they’re going. Hugh: People wonder why nobody is following me. S.Y. : He said it with an exclamation mark. Even if he was nervous about it himself, we didn’t know it. Hugh: Let’s unpack this vision thing. It starts with the leader. Formulating your vision. What is your challenge in gaining clarity? A vision is a concept. It’s what we’re doing. It’s a concept. It’s defining the future in a compelling, not boring, way. It’s very precise, concise, and profound. What goes into that in your mind? Did you struggle, or did it just come to you? S.Y. : I think all of us are struggling. The truth is, God always does what He says He is going to do, but sometimes it doesn’t look like what we thought it was going to look like. The Bible says, He claimed to a high place to be with God. I think sometimes we are so overexposed to other people’s lives and what other people are doing and how they are doing it that it can actually be a distraction and obstruct our vision. That’s one thing about social media. Social media is great, but if you are too overexposed, you start comparing. The only challenge with that is all of us don’t have the same assignment. Some of us may have similar visions, but the way about going about it, God may take us a different way. The Bible says, he stood by himself, heard the word of the Lord, and in the end, the Lord told him to write the vision. That is why I challenge every leader, every businessperson, as you’re getting it, to write it because vision is something here, but the first visible manifestation of your vision is when you write it. That is the first form of what starts to become real. It’s very real here, but the first form of it being made known in a physical form is when you can look down on the paper. He says, “Don’t only write the vision, but make it plain.” What do you mean, make it plain? If I wrote it, it’s plain, right? No. The truth is, Russ, it can make sense to us, you know, and if somebody else comes, they’re like, So, what does this mean? It means make it plain. It must be some rough drafts, going back and forth. Why? Because somebody needs to read it so they can run with it. The challenge with some of us pastors and some of the mistakes we have made is we were so sure about what we wanted, but we did not put it in a form where people could understand it. Leadership is not what you can accomplish or what you get accomplished through the people you lead. If they don’t get it, you’ve dropped it. Hugh: Russ, he’s preaching our song, isn’t he? Russell: It all makes perfect sense. Nothing was ever created, nothing but nothing, everything originated in the mind of God. We are creative like that because our mind is that mind. Nothing, I mean even the chairs, the buildings we are sitting in, somebody had to sit down and do a drawing to come up with a scheme for how this apartment is going to look like, how your home is going to look like, condos, skyscrapers, everything. It has to start somewhere. On the topic of writing, give yourself permission to have a crappy first draft because all of the stuff that you walk into Barnes & Noble and pick up off the shelf, it’s probably been rewritten eight, ten, or twelve times to make sure that’s what’s in there is clear and that the message the author is trying to send you is clear because a confused mind always says no. The brilliance of what your pastor did was he took the group into that warehouse. I know he was thinking, Well, I can sit down and explain it to them, but he was excited. He wanted to get that excitement and share that vision on the real scale so he took you into this warehouse. It was probably big, dusty, and empty. This is ours. This is going to happen. He made a declaration in line with the fact that it’s God’s pleasure to give the universe. Ask, and you will be given. Here is the pulpit, here is where the choir is going to sit, and we’ll put the organ here. He laid all of this out, and people are starting to think, He might be ready because he is really going off the deep end. If his intention was to incite people, maybe scare the crap out of them. Hugh: He left something out here that triggered a thought for me. Talking about manifesting into reality. Thank you for that clarity, Russell. Leaders live in the future; we don’t live in the past. Everybody else catches up with us. We detail that vision so they know how to catch up. You’re talking about when Napoleon Hill met Andrew Carnegie and did his research, and he said, “Oh, you’ll work for me for 20 years for free, and I’ll introduce you to important people,” and he said yes within two minutes. For free for 20 years. Carnegie said to him, “Any idea that’s held in the mind and emphasized, it’s either feared or revered, will begin at once, will manifest itself into the most convenient and appropriate physical form available.” That is a written vision, your written goals. Those are what qualify. What you just clearly articulated was our dream is here. Once you write it down, that’s your vision. That’s the journey. You’ve committed to something, which is so key. That’s a powerful story. What is your vision? What is your vision for The Ramp? S.Y. : Everyone always asks us why in the world did you name your church The Ramp? It was not even intended to be a name that stayed with us. The Ramp is supposed to be a name over the planning stage, but it stuck with us. I was looking for what to call it. We were looking for a building. I was going to name the church Lighthouse Tabernacle or something like that, a traditional church name. When I was looking for buildings, someone told me, “You must make sure you have a public building that you have a building where everyone has access to it, that it is handicap-accessible, that it has a ramp available that no matter what their handicap is, they can get in the building.” I said, “Oh my goodness. Isn’t that what the church is supposed to be?” It’s supposed to be a ramp to get people into the presence of God, to connect people into a relationship with God. We are not the destination; we are the connector. People have made an acronym over the years, but really it’s the word “ramp.” It means an inclined surface leading from one level to the next. But the acronym that we use for marketing and evangelism is Reaching As Many Possible. That is what the Ramp does. We are multicultural. We say nondenominational because we don’t believe that the whole body of Christ is made up of people who just think and believe just like us. We believe that there is a diversity of believers across the denominational spectrum. When you worship with The Ramp, there are elements of our worship that comes from the culture that the people of our church bring to the church. You will hear hymns from the Baptist church, dancing from the Pentecostals, liturgical investments when we do the Holy Eucharis that comes from an Episcopalian/Lutheran background. It’s all of that coming together. CCM worship because a lot of us are students at Liberty University when we started. The black gospel sound comes from we’re down South, and a bunch of us are black people. And we have black people in Denver, Colorado. I’m continuing to find that out. Russ, nice to meet you. Hugh: They stream every Sunday on Facebook. S.Y. : We have people watching from around the world on Sundays. Hugh: What is the vision for Ramp? S.Y. : Our vision is to continue to be a training center of discipling individuals, to continue to have a holistic church. What we have in our church is a model called Ax 1 and 8. He said, I will cause you to be witnesses unto me in Jerusalem, Judea, Sumaria, and the uttermost parts of the world. At the Ramp, we identify where Jerusalem is. Jerusalem is the capital. It’s our church, the mother church. We make sure that we are effective in ministering to the local church. We have a global mission. We have a global vision. We don’t believe that we should sacrifice our home to reach the world. That is what we say to our couples and our church. We believe Judea is our link to our community. Through that, we feed the hungry in our city, we help and serve in the housing projects, we support the local schools, we eat lunch, we have a program where we eat lunch at the beginning of every school quarter, the men of our church come and celebrate the students as they go in to schools. That is just a few things. We do a lot in our Judea. Sumaria deals with the larger scope of the churches we cover, and also issues that happen in our country in serving. When the flood was happening in Houston, we filled up a tractor-trailer right here in Lynchburg and went personally ourselves down there and served communities. Othermost Parts of the World is our global event. We have a mission base, and we serve. They are in Hyderabad, India, and other cities. Also, we serve in Sao Paulo, Brazil. We will be back there in September, and the list goes on. I will be spending Christmas in Guatemala in the trash dump there serving the people who live there. That is our vision: Jerusalem, Judea, Sumaria, and Othermost Parts of the World. Hugh: Russ, you got something brewing there you want to throw his way. A good question about vision or leadership. S.Y. : Please be nice to me. Russell: All of these things about me being some sort of tyrannical quizmaster is completely false. Hugh: He continues to show me up, but that doesn’t take a lot. S.Y. : I know, Russ has blessed me already sitting here. You all have said some things that when we get off air, I need to write some things down and add them to my repertoire. Hugh: Russ, what thoughts or questions do you have? Russell: On the subject of vision, vision is a global thing. What I see and where I have had a lot of problems myself and what is becoming really obvious to me is that all of the problems that I’m seeing in society now are really predicated on this whole notion of separation. We have our group over here. There is that group over there. We are right, you are wrong. There is this notion of separation that keeps us apart, that keeps us arguing, that keeps us from having conversations with one another. On the other side, I am starting to see places where people who don’t look alike are coming together. I belong to a beautiful little community, and I think a doctor Karen who is our head pastor where I worship having a vision about three and a half years ago. Our church was in a little shop in a strip mall. She said, “We are going to have a home for ourselves.” Inside of three years, we moved into our new facility. It’s a beautiful facility. We welcome people from all faiths. We’ve been working for the last maybe six to eight months—we started back in July, so it hasn’t been very long—on a good to great vision. What do we want this church to look like? How do we want to show up in the community? It’s not a huge congregation, but it’s a very active one. It’s plugged into the community to work on that grander vision. We are in the middle of the season of nonviolence, which runs from the death of Mahatma Gandhi to the assassination of Martin Luther King. It’s a 64-day period. We are in the middle of that. On the 21, we are going to have a big celebration. But it’s all about finding ways to bring people from different views, different faiths, different races, different age groups together. There is no difference; we are all connected. This is the big problem. S.Y. : You did it. You came very kind to me, and then you said, “How are you guys in Lynchburg…?” I celebrate what your church is doing. You said, We’re not a large church. The truth is I was working with an organization that liked to try to gear it in to make a church pastor so they could have a greater influence. I was telling this nonprofit, “You have to realize that the average church in America is only 70 people.” These mega churches are not the average. I think sometimes we mislabel. Mega church is not the size of the congregation is the weight of the impact. What your church is doing with nonviolence, oh my goodness, that is a mega church because that church has a mega impact. It has a ripple effect. Here in Lynchburg, I see the tides are turning. Lynchburg, especially because of the last election, has become again a seat of a political divide. We got a lot of attention. What it has done, it has caused some things not to arrive in Lynchburg. I think it’s caused some things to come to the surface. I’m not a big social justice type of preacher. I have a great, strong social justice span, but I reserve that for other conversations and not the pulpit. One thing I believe this last season has done is bring to the surface a lot of ideologies and a lot of deep-seated mindsets that maybe we just looked over. When these things come, it’s all about how you respond to it. I am encouraged here in this city because I see people trying. Last Sunday, we had an event where the people in this city came together, churches came together. On April 3, some churches are coming together on Martin Luther King’s assassination day to celebrate the 50th anniversary of MLK’s speech. April 6 and 7, another group is spearheading something, reviving social justice. We are greatly divided in many ways. I think we are learning how to celebrate difference. Difference doesn’t always mean better. It’s hard for us to do that. We have been programmed to think- I say we because I am putting myself in there. When you grow up in certain ways, we started our movements, and the premise of our movements was based upon what we do different than you. That is why I always tell people: If Jesus would have healed by spitting on the ground, we would have a whole movement called Spit on the Ground and Put it on Your Face and Be Healed Churches of the Living God International. What I have begun to embrace, Russell, is that God always moves, but He doesn’t always move the same way. God doesn’t change, but He does change His methods. We have to be open to that. I think conversations make you open to that. Even just sitting here today, I have gleamed so much from you guys by sitting here today. When I came here, I just ran from another interview with a rabbi. He is not a Messianic rabbi; he is an Orthodox rabbi. He doesn’t believe Jesus is the Messiah. Guess what? That didn’t throw me off. He was able to teach me Old Testament scripture today. I think it starts with relationships, not speeches. It starts with genuine relationships, sitting together, eating together, and hanging out with one another. We are going to find that you have the part you need because sometimes what we need is not in our house, but our neighbor has the sugar. I hope I answered some of it. Hugh: Oh yeah. Lots of tangents here we could go on with that. Being a leader is not just turnkey operation. You started this church 13 years ago in your living room. It’s called The Ramp International. S.Y. : I had been nowhere but Virginia, but it was international. Hugh: We are in Lynchburg, Virginia, not Tennessee. We don’t make any whiskey here. Or maybe we do. I don’t know. I have only been here eight months now. S.Y. : Go out of the county. Hugh: There is scotch from my country of origin. We only drink it for medicinal reasons. They understand. I felt when my wife and I came Sunday, people listening to this could be years from when we are recording it, but I am going to talk about a couple dates because they will be recurring events. My wife is the deacon at the district office of the Methodist church. Her job is revitalization. It’s different from resuscitation. Revitalizing 89 churches in the Methodist district. It’s a new position for a clergywoman, and it’s like it was written for her. We found Lynchburg has been a gracious, welcoming community for both of us. Sunday was no exception. There is something about the community at large. I know under the surface, there are people who have divisions. Of course, we have very conservative elements here. They are on two sides of the fence. We read Richard Rohr who is a Franciscan, and he talks about let’s not do dualistic thinking. We have a trinity here. We have more to this. Thinking about other options. What we felt was there was community at your church. S.Y. : I want to tell you where that comes from for us. 95% of the members of our church are not from Lynchburg. S.Y. : We started as college students who came here from other places. We stayed and we grew up and started getting married and having kids. Then, as our ministry travels, many people started moving here because they believed in our church and what we were doing. Many people are here in Lynchburg because they moved here to be at the Ramp. What that did is now people are living away from their families. So now you have kids and they need aunties and uncles. It becomes a little complicated from the outside of the church because the kids call other members of the church their aunts and uncles, and they are not blood related. When you are here in Lynchburg in the middle of nowhere, people started building their own nuclear families from the church members. Something that I had growing up in church and now is becoming obsolete and primitive is we have church mothers at our church. On Sunday, you’ll notice on the second row there are some older women who sit on that row. They are church mothers. They are the women that when a lady needs someone to talk to or when a mother is having issues with one of her kids, that family feel comes here at Ramp. Hugh: We came in and sat in the back. One of the kind people said, “Come up, and we’ll find you a seat.” We are now in row ten, front and center. One lady came by with these wax things for our ears because it was too loud for us old people. S.Y. : They offered you earplugs? Hugh: I didn’t get by without the age thing. I always pull the age card. Hugh: It wasn’t just the music; it was the energy. Then, you’re doing the altar call, so we were going to ease on out. No. Elder Somebody said, “We want to take you to the new member reception,” and everybody in the church came by there. Hugh: A sample of somebody who comes in random. Our friend introduced us. We just showed up. S.Y. : I didn’t know you were coming to church. Hugh: I didn’t tell anybody. We just decided. When we had the greeting, I went up and said, “I’m Kevin’s friend.” He jumped down and went to greet Leigh Anne. That was part of the culture. One thing Richard Rohr says is “Transformed people transform people.” Leaders want to transform ideas. In reality, they want to transform others. But it starts with ourselves. You were born with the passion for leadership. I find that at 71 years old, I am learning every day. S.Y. : Oh wow. You look good, man. Hugh: I pulled the age card, Russ. I learned things from you today. We learn from each other. We never stop learning. You took this ordination as a leader from your grandmother. S.Y. : She lives across the street from me. We had so many of us in one house at one time. My grandmother orchestrated that house. My grandmother didn’t go further than the third grade, and she ran a business for years. My grandfather was there, too. He was there, and he complained all the time, but she was the leader. She was like, Do this, do this, do this. She took two homes and put them together and made one house. She made it work. We only had a little. I told people, I think we were poor; I just didn’t know it. I saw that leadership in her. She ordained me. Hugh: I got it. Your wealth was in other areas, not money. As you grew into this mantle of leadership, what was your journey like? To be able to claim the vision, claiming it and speaking it, one big milestone. Then we have to make it happen. Clearly your vision is active. That was very evident. What was your growth curve? What were some of your challenges? How did you meet those challenges? S.Y. : My challenge was money. My challenge is money because I have more vision than I have money. But I always realize that where there is vision, there is provision. God will never call you to do something that you can do without Him. When we started and we finally got a little building in Virginia to have our church, I never forget I told God one day in prayer, “I’ll be so glad when I finally get to a place where I don’t have to need anything, where I can just write the check and be done.” The Lord spoke to my heart. He spoke to me. I know it was the Lord who laid this on my heart. He said, “What you’re really saying is that you want to get to a place where you will never have to trust Me. I will never let you get there.” If it’s comfortable for me, it’s probably not God because until there is a resistance, there is no muscle mass built. I am always being challenged with castin’ it because vision comes from God, but provision comes out of the earth. We read Malachi Chapter 3, “He is going to open up the windows of heaven and pour you out a blessing.” I’m never seen money come out of Him. If it did, it probably fell out of somebody’s airplane. The vision comes from Him, but the provision comes from the earth. That’s why it’s so important for us to have established what our vision is and to be able to shoot it to someone within a matter of seconds because you may be talking to the person who is going to underwrite the next phase of your ministry. If someone asks you what you need and you ramble on, no, if you ask me specific questions, How much does it take for the budget every month? What would take place during our next phase of ministry? I can give you a ballpark figure because once you become one with that vision, it won’t work for you until you become one with it. If you still have an option, you’re not in deep enough. I don’t have an option. Everything I’ve got is in this. I don’t have a backup plan. I think that’s why people follow me because I’m convinced about it. I had a pastor tell me one time, “I hope I don’t offend you when I say this.” That’s never a good sign. He said, “I think that if you jumped off of a bridge, some people from the Ramp would jump off with you.” I said, “Oh wow, I’m not offended by that because it’s true. Because those same people know that if they jumped off a bridge, I would jump behind them, too, to try to catch them.” I think as visionaries, you have that time where you have an opportunity to prove yourself to people by your actions. People will jump with you. That’s what I want. I want people who will jump with me. Hugh: That’s a trusted relationship. You spoke about ministry is based on relationship. Leadership is based on relationship. Communication is based on relationship. Financial results are based on relationship. We have to be very clear, crystal clear, on our vision. James Allen in his book As a Man Thinketh, it’s male-dominant language from the era, but in transposing the language, he says, “We don’t attract what we need. We attract what we are.” He also says that people want to transform themselves, but they don’t want to change their results, but they are unwilling to change themselves. They therefore remain bound. How do you keep yourself in that space of growing? What do you do to challenge yourself to grow? Last night, the night before, and tonight, you had a meeting with a rabbi at your church. That’s being pretty open-minded. A non-Messianic, Orthodox Rabbi teaching Old Testament. S.Y. : And I’m pretty narrow-minded on some things. When it comes to fellowship with anyone, I’m pretty open. When it comes to theology, probably conservative. I love theological, so I can discuss anything. But when it comes to tenets of my faith, I am pretty hard-core on some things. How do I keep myself centered? Hugh: If we are not growing, we are going the other way. How do you nurture- There is a balance in how we take care of ourselves emotionally and physically, but also how we continue to grow our skillsets and abilities. S.Y. : Accountability first. I am a very strong proponent of accountability. That same pastor I talked to you about when I was with him and he started his church, he is still my pastor today. We meet regularly to discuss not what’s going on with the Ramp, but what’s going on with the Ramp’s pastor, with me as an individual because the weight of leadership can be a lot on any normal person. I don’t know if you know this, in the last several months between 2017 and now, we had 11 pastors in the United States commit suicide. There is mental illness and traumas and different ways that we deal or don’t deal with things. To make sure that I’m in a healthy, good place, I talk to him, I talk to people. Something that keeps me balanced as well is when I look out at the audience of my church, my mother is sitting on the second row. On the other end of that row, my aunt Peggy is sitting there. A row behind them is my aunt Geneva. Two rows behind Aunt Geneva, depends on where she is sitting, is my aunt Hattie. On the other side is my grandmother who is still with me fro the beginning. On the platform is Allison Rice, who has been with me since we were in high school, one of my elders who was my former youth pastor, I was her youth pastor at that first church. Those relationships keep me balanced because there are some individuals who will be so impressed by you they won’t challenge you. I have some people who will call me in to explain what I’m saying. Even with the vision, they’ll say, Okay, here is your vision, but- And it’s okay. If your vision can’t be challenged, it may not be a vision you should have. Hugh: Russell, what jumps out at you as far as leadership topics here that are coming to the surface? Russell: It all starts with taming that itty bitty committee between the ears. That is the conversations that we have to master. We hold things against ourselves. Stuff like forgiveness for example. That is a completely human concept. It’s alien to God because He never holds anything against us in the first place. I’m thinking in this day and age the stuff that you’re doing is remarkable. I grew up as an orphan. I was adopted at about three months. This concept of family is something that I’ve had to build. It starts in the heart and fans out. How open am I to the people I’m around? I’ve got family in many shades and in many places around the country and some out of the country. It is just a remarkable thing. Big brothers, big sisters, aunts, father figures, little brothers, sons, godchildren. I have all of these types of family in my life. It’s a remarkable journey. The challenge is to keep my feet on the path. What trips a lot of leaders up, or certainly what has tripped me up, is this notion that whatever I bring forth I have to somehow out of my own limited resources come up with it and make it happen, and that is a self-centered, ego-driven fear that is running rampant in society. It stymies a lot of people. I was thinking back to this discussion on division and how there are a lot of people that we look at. The people that have taught me the most are the people who have either been cruel or who have just been totally unlike me. One of the challenges that we faced in a course I took last fall was to find God-like qualities in people regardless of who they were. We got four subjects. Among them, Joseph Stalin, Genghis Khan, and Adolf Hitler. The fourth figure was Donald Trump. I think more of the group had more trouble with Donald Trump because he is still around. I’ll tell you something. He’s got a lot of God-like qualities, like the charisma, his ability to bring people together. Maybe not for a purpose I think is good, but he brings people together. What has happened is a lot of these things that divide us, we were patting ourselves on the back for a while because we elected an African-American president. Ooh, racism is dead. A lot of these conversations around how we view one another over the last 18-20 months have started to come up. This is stuff we like to pat ourselves on the back for and say, “Thank God we’re over and above that.” But we’re not. We are having these tough conversations. You can’t heal what you can’t feel. So you have to get all this stuff out on the surface and have a place for people to have dialogue and discussion. It’s really funny how people demonstrate this oneness because people get there, they argue, they fight and fuss over a lot of things, but when an earthquake hits or a hurricane hits, all of a sudden, people forget that Oh well, we don’t like what this one or the other one is doing. We come back to our true nature that is built into us, and we come together and do something to lift people up and to be of help to them. We throw all of these petty divisions and this crap off to the side when the crap really hits the fan and we pull together and move each other. That is our true nature. Whatever little political arguments that we have with each other, when Houston happens, when New Orleans happens, when a Three Mile Island happens, our true nature takes over, and we get in there and start lifting each other up. I think we’ll see more of that. We can’t deal with all of these other things unless we look at them. It’s not living in the problem, but we have to recognize it in ourselves and around us and move toward that correction in places like the Ramp and my little organization, New Dawn, it’s part of Centers for Spiritual Living. That is a global movement. I think our level of consciousness is starting to come up. For every example of people not being accommodating, there is an example of the accommodation. There is no separation. There is one person who is put there. We get free choice. There is no separation. I like to cover up these less flattering aspects of who I am and not talk about them. But unless we get them out there in the open and shine the light on them and accept that as part of who we are, even the most monstrous figures in history had God-like qualities, it was a really good exercise to sit there and try to find those and look at those. Diversity seems to bring out the best in us. It’s really strange. Hugh: That’s an interesting twist. What do you think of that? God created us all. We tend to think about them as demonic. S.Y. : I’ve been to Mongolia. You brought up Genghis Khan. Wow. I think we could use that, even with conflict solutions with dealing with people and business ministry and companies. What God-like character attributes? Russell: If you want to practice this exercise, just look at the news every day. You will get plenty of exercise. S.Y. : I say that as well. Hugh: Really, the prayer isn’t for them, it’s for us. That is a paradigm that is very interesting. God is the god of everything, the Lord of all. God created everything. Who is for us to judge? Looking for differences in people that are good, that is a fascinating reposition. We have a lot of characters in the church. People who criticize the church think it’s a haven for saints, but it’s a hospitable center, it’s a place. S.Y. : I was just in a conversation about that yesterday. It’s a hospital. Hugh: We are ramping up to the close here. I like to keep them under an hour because people are faithful and listening and want to honor their time. We have packed a lot into this. I want you to think about a parting thought around vision, around leadership, around influence. Communities tend to be fragmented. Churches all meet at 11:00 on a Sunday, and we never talk. Nonprofits are doing their own thing; they never really talk. My goal is to get leaders together and deal with the tough topics. In the South, we say, “None of us is as smart as all of us.” I am a Southerner. I grew up in Atlanta. I watched MLK give his speech. Thinking about going forward, what thought do you want to leave with people as we bring this interview to a close? Great interview by the way. S.Y. : Praise the Lord. Real quick, I’ll just say as an encouragement to any leader, to anyone who has put their hand to do something. Just because it’s hard does not mean it’s not God. Some of our greatest seasons, some of our greatest moments are introduced to us in the form of a challenge. Let that challenge, instead of it being a sign that you shouldn’t do it or shouldn’t try it, let it be your affirmation that maybe this is God. My story with our church has really come with many challenges. My life has come with many challenges. But it always works. It comes together. I think sometimes, as I said on Sunday, just gotta stay in the sentence long enough. Conjunctions change the direction. Your sentence could be saying one thing. It could be stating our true fact, but one word can change the whole direction. Sometimes you have to just stay in the sentence long enough to watch it all change. Hugh: Good words. Thank you for spending time. You’re very busy with a lot of things going on. Thank you for sharing with our audience and being our guest today. It was very meaningful. S.Y. : Thank you for having me. Nice meeting you, Russ. Russell: Great conversation. Looking forward to talking again sometime.